This Law ascertains legal principles of languages functioning in the Republic of Kazakhstan, responsibilities of the state in establishing the conditions for their study and development, ensuring equally respectful attitude to all languages used in the Republic of Kazakhstan without exception. The object of regulation of this Law shall be social relations arising in conjunction with usage of the languages in the activity of state, non-state organizations and local self-government. This Law shall not regulate usage of languages in relations between individuals and in religious associations. Legislation on languages in the Republic of Kazakhstan shall be based on the Constitution of the Republic of Kazakhstan, comprising this Law; other normative legal acts thereof, related to the usage and development of languages. Legislation on languages shall apply to citizens of the Republic of Kazakhstan, foreigners and stateless persons permanently residing in the Republic of Kazakhstan. 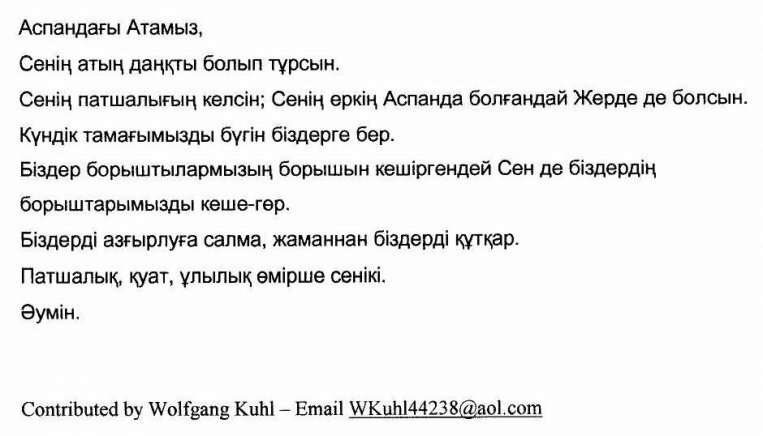 The official language is Kazakh. It originally used Arabic script, then the Latin alphabet, and today the Cyrillic alphabet. Cha! What are the three major languages that kazakhstan speak.